Not sure about you, but even though I love the cooler months (could be due to my pale skin) I feel the cold. At present the days are getting shorter, the weather is getting colder. The time has come to start nesting. On a cold, wintery night, there’s nothing better than being all snuggled on the couch feeling cosy. Even though you might have a warm, well heated home, does it feel homely? Feeling cosy is more than just warmth, its the sense of warmth combined with actually being warm. 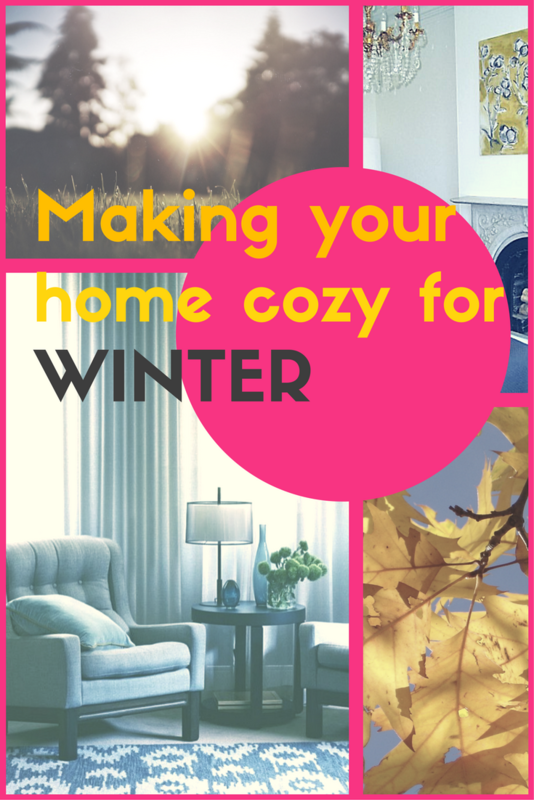 Read on for my tips on how to make your home cosy for winter. How to make your home feel cosy for winter…rugs. Cold feet? No thanks. If you’ve got lots of hard flooring especially tiles, rugs are your friend. In winter, the thicker the rug the better. Don’t hold back combining multiple rugs in the same space. So long as the rugs complement one another and don’t compete, they will work together. 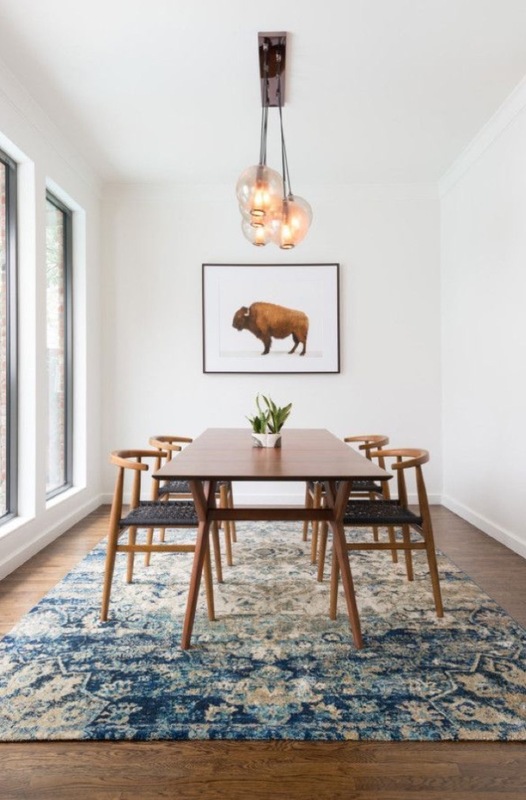 Think one large patterned rug in a sitting area with a plainer, more tonal variation under a dining table. Under a bed, go for a large size that extends at least 50-60cm beyond the bed on all sides. There are many rugs available these days that are suitable for outdoor use and actually quite soft underfoot. This means that even bathrooms can have a rug to add that additional warmth on those cold mornings. Underfoot warmth and extra style with the addition of the floor rug. Image courtesy of Design Milk. How to make your home feel cosy for winter…window furnishings. Want to save money on energy bills? Want to feel warmer? Want to feel cosy? Well what goes on your windows is the key to changing that. There was a trend a few years ago to put roller blinds in every room in all types of homes regardless of their style. A year or 2 after this trend, there was a return to more traditional window furnishings as you can’t achieve the homely, cosy feel with roller blinds. Plus they have little or no insulating properties. Yes, they are cheaper initially, but the savings on heating and cooling in the long term will outweigh this. Curtains needn’t be the floral, over the top styles like Grandma had. Even in the most modern space curtains can take the interior to the next level of homeliness while blending beautifully with the interior. If curtains aren’t your thing, roman blinds might be an option. Cleaner and simpler than curtains, you can still obtain warmth and cosiness with roman blinds. How to make your home feel cosy for winter…don’t neglect your bed. When you stay at a fancy hotel, your bed is often one of the key places that exudes luxuriousness. Its like sleeping in a big fluffy cloud. Try to recreate that experience at home, by investing in a super fluffy down doona combined with a quilted down mattress topper. The result, a cloud bed in your own home! 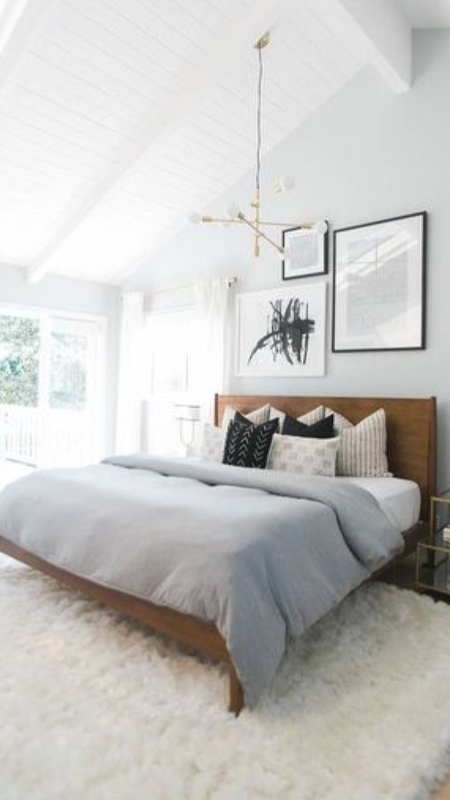 Add to the bed a snuggly throw, European pillows, and scatter cushions in various textures. You’ll have a bed that you won’t want to get out of. How to make your home feel cosy for winter…mood lighting. A home can feel warm and nice with good heating, floor rugs, throws, good quality window furnishings. All these things can be diminished though by ill suited and unflattering lighting. Lighting has the ability to make or break a great interior. 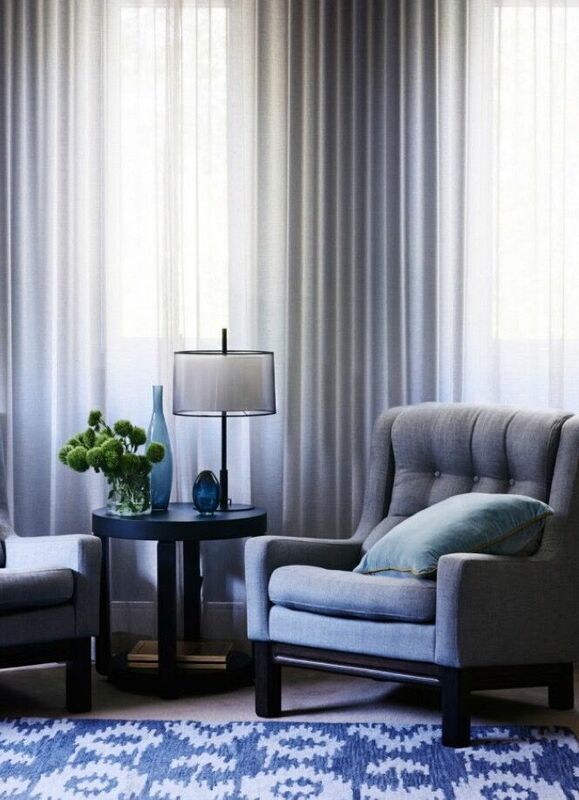 The addition of floor or table lamps and pendant lights can take your home to the next level of cosiness. 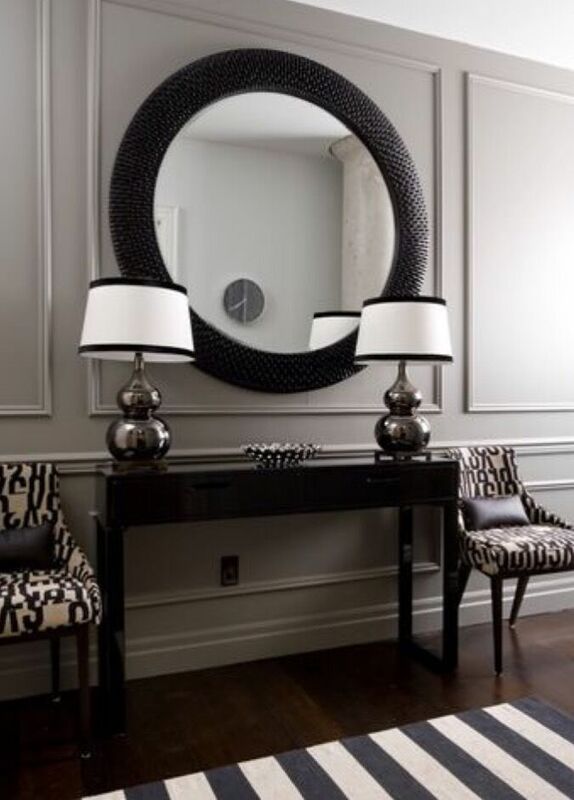 The addition of table lamps in this entrance way makes for cosy space. Image courtesy of Tidbits and Twine via Pinterest.